Fayetteville Towing Company provides motorists with quick, friendly, and inexpensive emergency towing services. When you’re facing an unexpected emergency incident, let us provide you with the help that you need in a hurry. When there is a problem with your car stalling, an accident, flat tire, or some other type of emergency, you can rely on our tow truck drivers to respond with urgency to your situation, big or small. If you’re looking for a reliable tow truck service in Fayetteville, you have certainly come to the right place. Make no mistake about it, you’re sure to be able to get exactly what you want and need from us. When there is an emergency, most people go into a panic and cannot think clearly, this can sometimes cause them to make poor judgment and make bad decisions. This is why we are telling you to remember the name of Fayetteville Towing Company to assist you with your emergency service needs. Keep us in mind and you’ll be glad that you did. You want to have emergency towing Fayetteville NC locals depend on. You can rely on our affordable Towing Company because we act quickly to provide you with the help that you need. Our tow truck driver is immediately dispatched to your location no matter where you are in the city. They always have the needed tools with them to perform any job that is necessary. When there is an emergency situation, you can’t afford to waste time and we won’t let you. 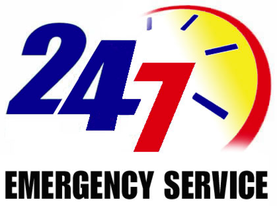 We’ll make sure that your emergency situation is quickly and effectively handled. We want to keep you out of harm’s way and that is why you shouldn’t attempt to resolve the problem on your own. Leave the work to our qualified and trained drivers. They are trained to handle various types of situations, including emergency towing situations. We have a fine reputation for offering the most professional towing services in town and we intend to live up to our reputation. This means we'll do whatever we can to satisfy the needs of our customers, no matter what the job might entail. You can always count on us. When you use professional towing services you can benefit from their experience. A professional towing service will also have the necessary insurance in the event of any accident while transporting your vehicle. Regardless of what type of vehicle you need emergency towing services for, we’re sure we’ll be able to handle this for you. Our tow truck drivers have experience towing every type of vehicle, big and small and we can even assist you with emergency roadside assistance in Fayetteville and the surrounding area. A professional towing service will generally have the right type of tow trucks to transport your vehicle, we can’t say that about a person who just happens to own a tow truck and can move your vehicle for you. A professional tow truck service is your best bet when you’re experiencing an emergency situation and require car towing service near me. They can eliminate your stress by safely towing your truck to where you would like for it to go.